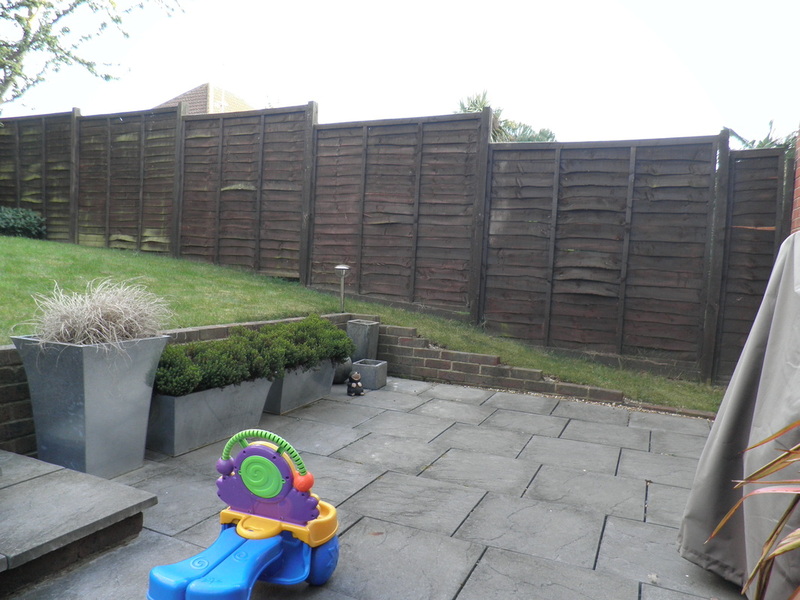 This garden was already landscaped by the previous owners, but the lawn sloped upwards and was not practical for an 18 month old child. 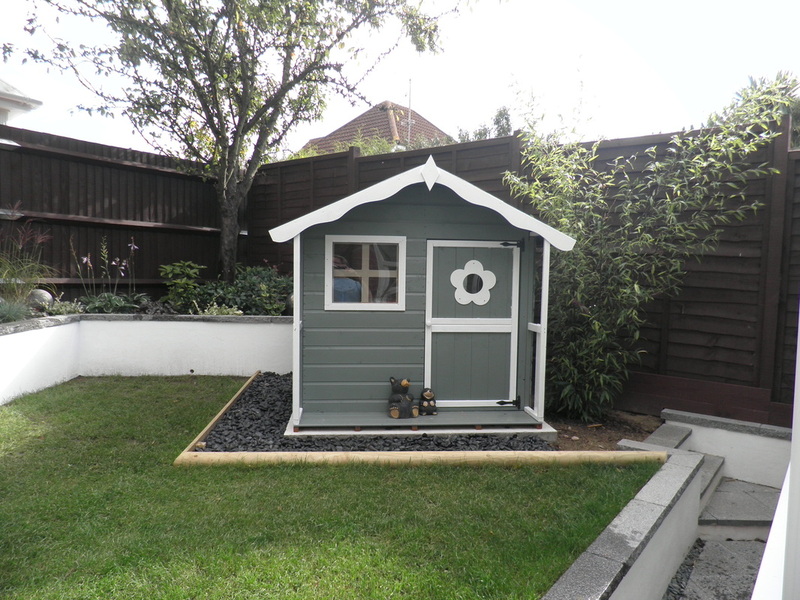 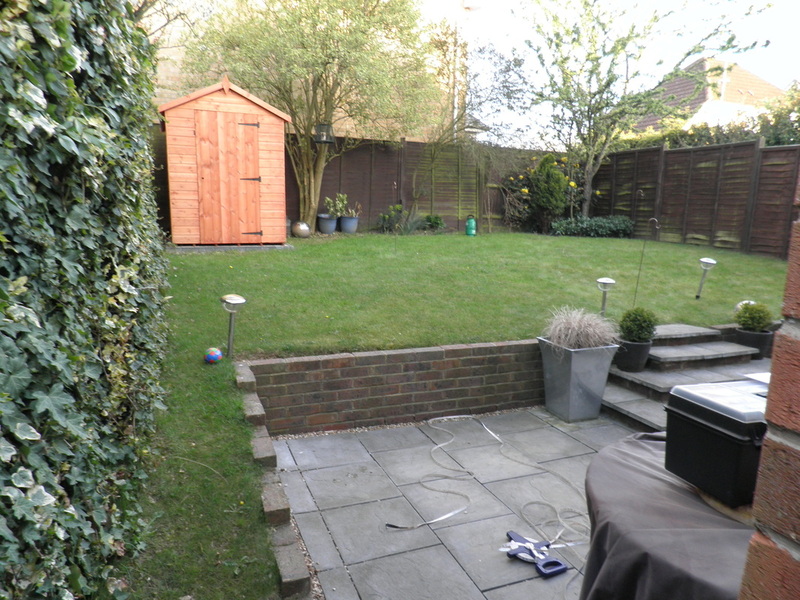 The shed really stood out too and needed disguising or blending in with the garden. 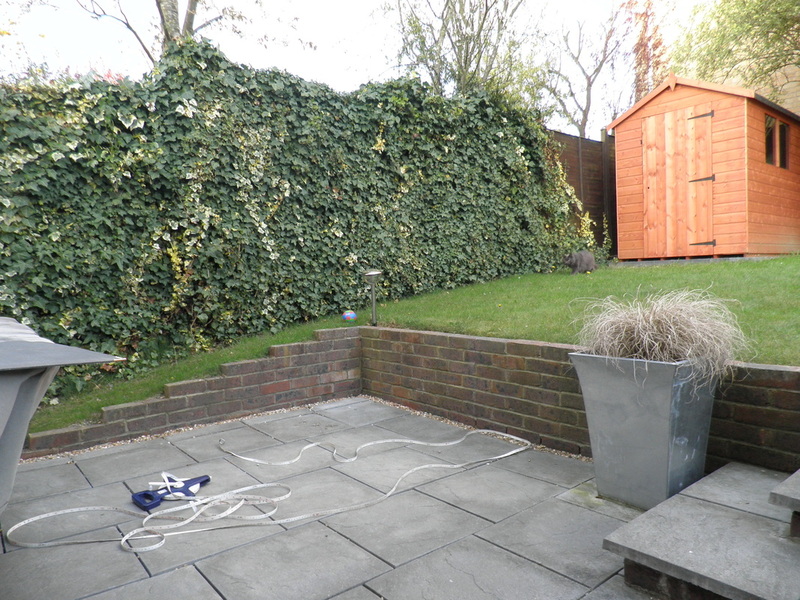 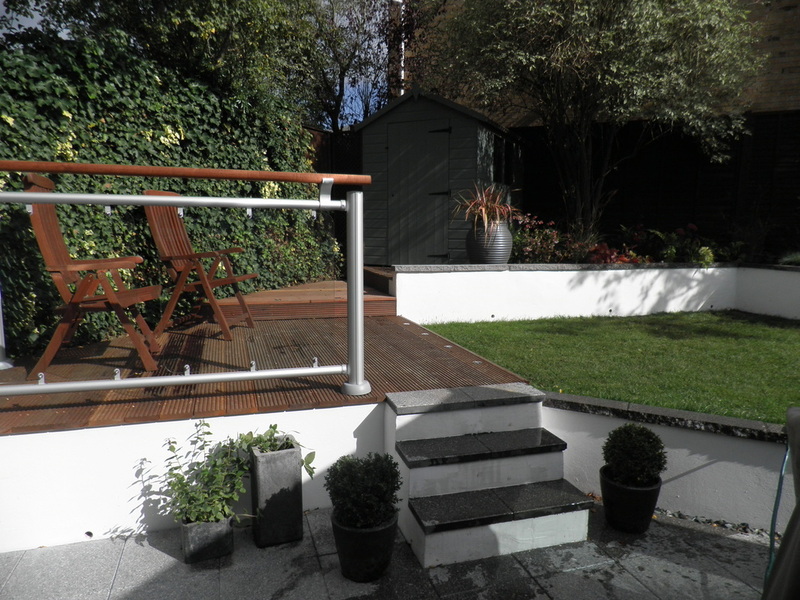 To allow for a new conservatory on the plan, to create a more level playing area/lawn for the child by and to add a sunny, seating area with a modern water feature and paving slabs. 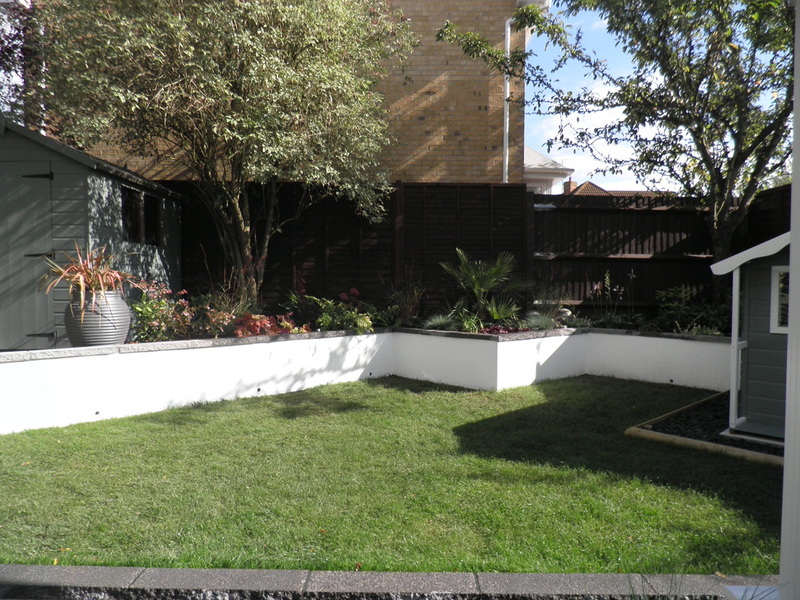 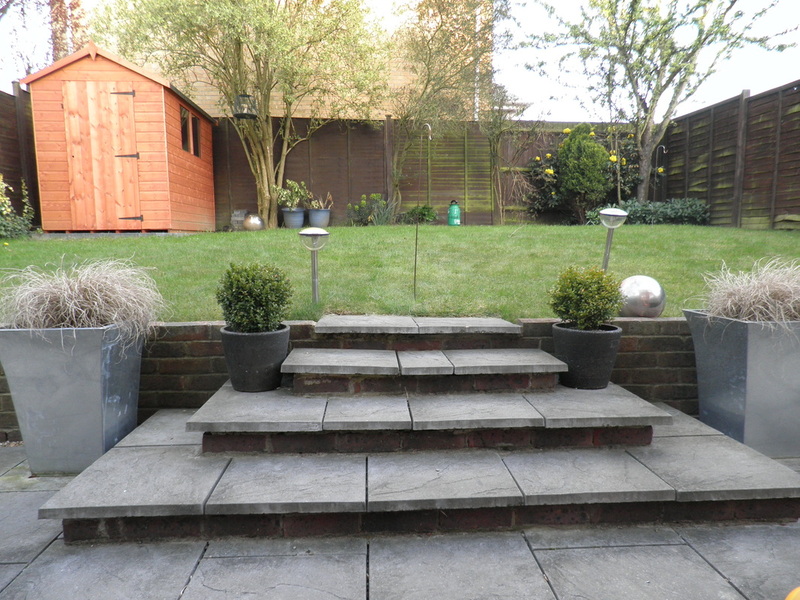 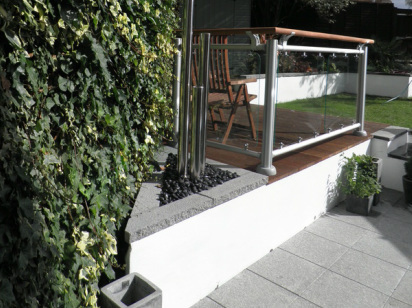 Plants had to be low maintenance, yet provide interesting foliage and colour all year round.